F. L. Olmsted & Co. 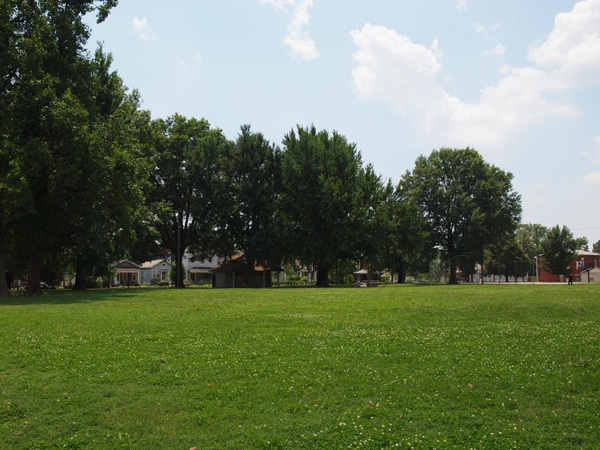 This 4-acre, one block park, built on the site of an old pioneer cemetery, became Louisville’s first public park. Established as a park in 1880, it was transferred to Parks Commission management in 1890. 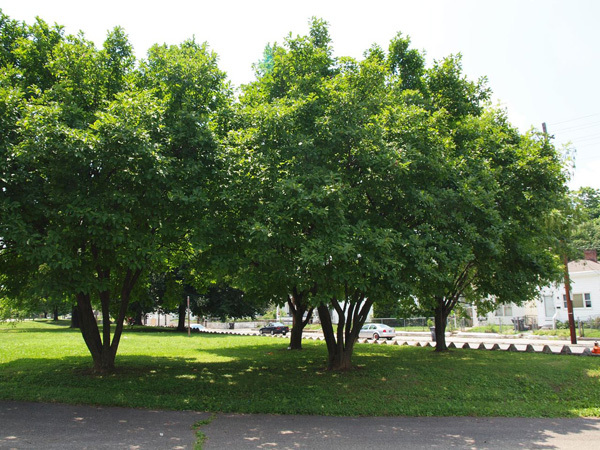 The square was part of an 1891 plan proposed by Frederick Law Olmsted, Sr. for Louisville Parks and Parkways, which included a network of neighborhood parks, squares and playgrounds in addition to large parks and parkways. Olmsted was commissioned to design the park in 1891, but plans were not completed until 1901 when the Olmsted firm proposed a planting plan. The park, still surrounded by its original stone walls, also contains the original park shelter and abundant mature vegetation. Its design is more formal than the city’s larger parks, with simple, curvilinear, shaded walkways punctuated with benches around the perimeter. 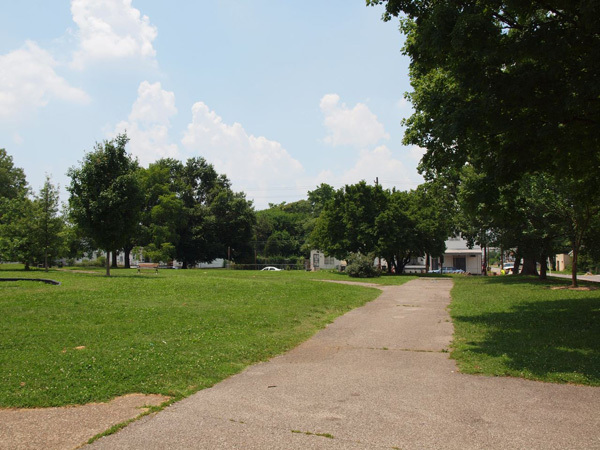 During Louisville’s period of segregation, from 1924 to the 1960s, Baxter Square Park was designated as a “blacks-only” park. In addition to the original paths and park shelter, the park today includes two basketball courts, a playground, and a spray pool. The Baxter Community Center and its parking lot occupy the southwest corner of the park, adjacent to the basketball courts.